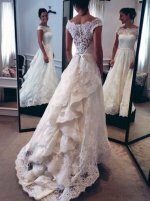 Having budget wedding flowers on your wedding doesn't mean that you will sacrifice the style and elegance of your dream wedding. According to professional wedding planners, 8-10% of the wedding budget was spent on wedding flowers. 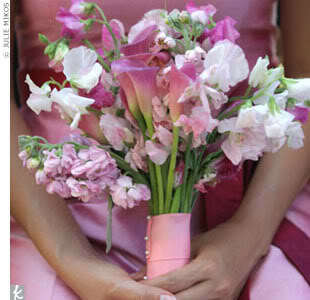 But there are options to cut down the costs of your wedding flowers and still have beautiful flower arrangements. You can order from local florists and vendors, have flowers delivered, order flowers online or even search for ftd flowers. There are several factors that affect your budget wedding flowers; the flowers itself, the intricacy of arrangements, the size of the wedding reception and the number of your guests. Seasonal flowers are the best option if you want fresh flowers on your wedding. Buying locally can save you a lot of money rather than buying imported ones. You can talk to a local florist and discuss about the flowers that grow in your area. 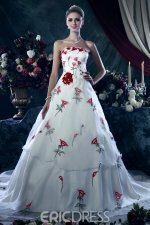 This will help you on your tight budget and ensure that the flowers will be available on the day of your wedding. Delays and high prices are the two main scares of ordering from some place else. 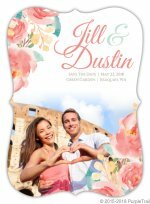 If you're having your wedding somewhere away from your home (in a different state or country), just acquire the budget wedding flowers in the vicinity of the wedding place. Not all flowers will be available to you at a normal price, flowers that are not in season tend to be pricier than the ones in season. You have the following flowers in season if you're having a fall wedding: gerber daisies, roses, hypericum berry, grape hyacinth, and gardenia. Sweetpea, tulip, chrysanthemum, and sunflower are some of the flowers that bloom during spring. In winter, some of the choices include; carnations, casa blanca lilies and evergreens. Also, try to avoid February wedding because flowers are more expensive during this love month. And if you're planning an outdoor wedding, you may try to put some large potted plants at your wedding reception to warm it up and give it a natural garden look. 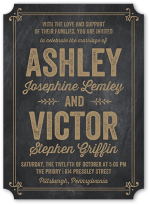 You can also give it to your guests as a memorabilia after the ceremony. If you think real flowers are too highly priced for your budget wedding flowers, you can consider silk flowers as alternative; they are a lot cheaper. Pick high quality silk flowers for they have high resemblance to real ones. They also remove the chance of affecting allergies or the chance of wilting. Some people think that using fake flowers in a wedding is not a good idea, but if you give good attention to details, nobody will notice that they're not real. 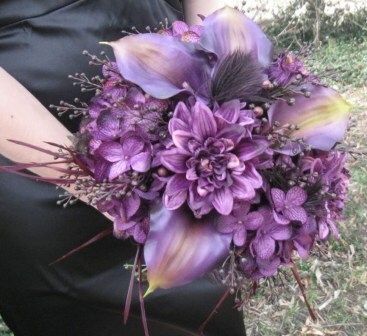 Another option is using real flowers on bouquets and arrangements that will be held or touched by a person and use silk flowers on other items that will not have any close contact with people. 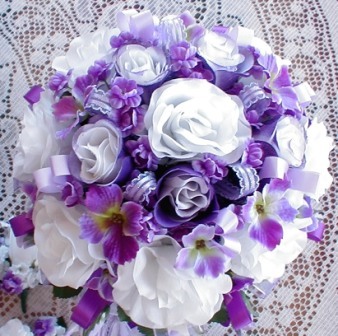 Or you can also just use silk flowers on the gift, cake, or stage. And if you're the one who will make the silk flowers, you can do it ahead of time so that you can rearrange it and make it perfect for your wedding day. 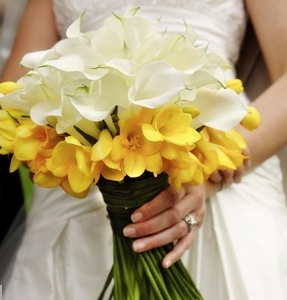 Planning and researching on budget wedding flowers will save you a lot on your wedding budget. Adding a personal touch and creativity will be of great help to make your wedding superb and stylish even if you're on a tight budget.